But as soon as you get over this negativity, everything changes and this is certainly the case when it comes to Tanzania, the pearl of East Africa. 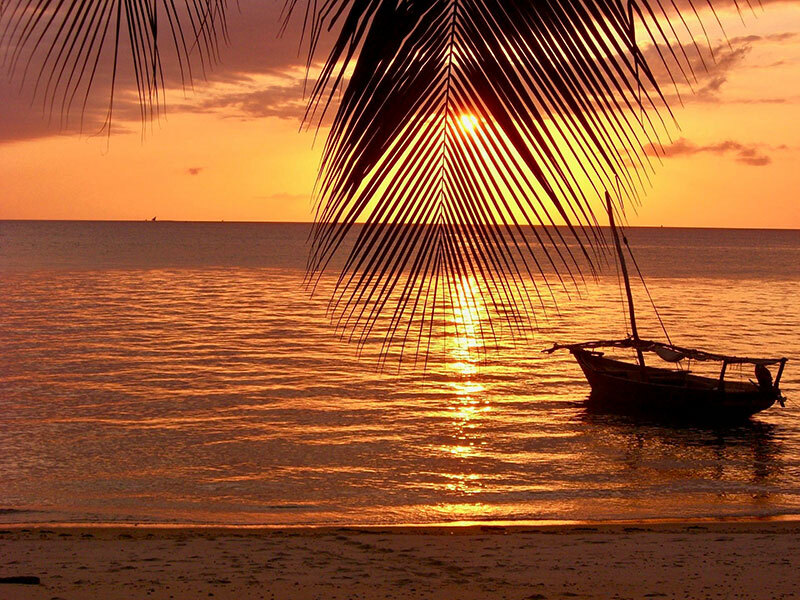 Top things to do here include the vast Serengeti, the majestic Kilimanjaro and, of course, the paradise island of Zanzibar. 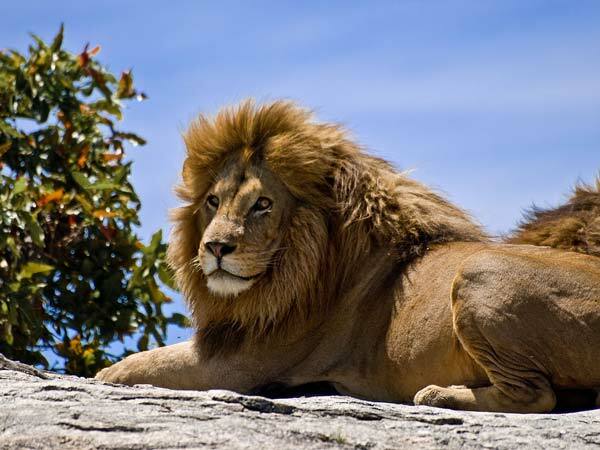 In fact, there are few places on earth where you will find so many contrasting attractions: you can summit the world's highest free-standing mountain one day, watch a pride of lions stalking antelope the next, and soak up the rays on powder white sands before you leave! Here's our selection of Tanzania's top 5 attractions. 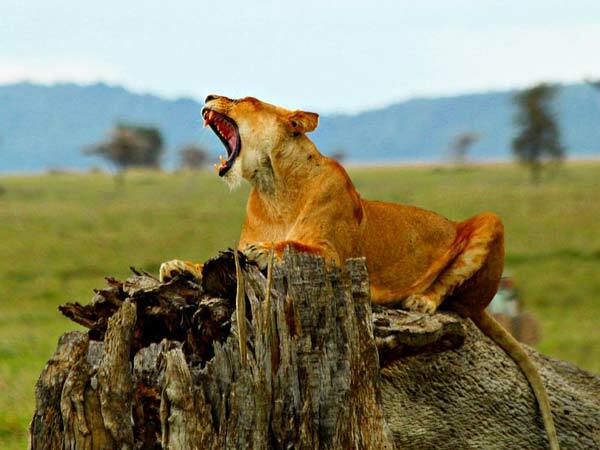 Located towards the northern end of Tanzania, the Serengeti National Park occupies almost 15,000 square kilometres of grassland, savannah and woodlands. The Park was awarded World Heritage Status in 1951 and attracts around 350,000 visitors a year. It is best known for wildebeest (who migrate through the park each year—see below), c. 3,000 Maasai lions, c. 1,000 African leopards, African bush elephants, black rhinos and African buffalo. Surely you’ve heard of this? No? 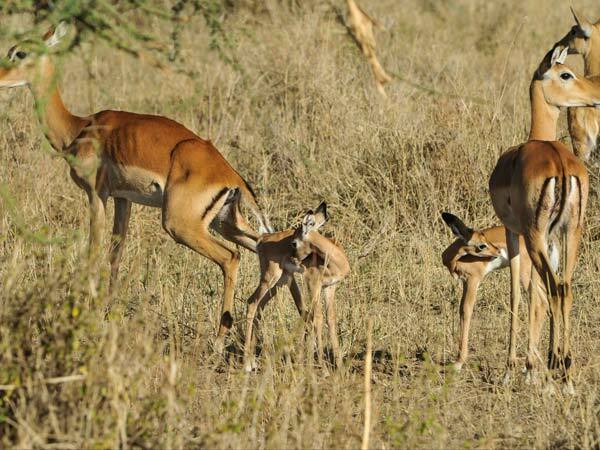 Well here goes ... it all starts when Blue Wildebeest have their calving season in the Ngorongoro Conservation Area in eastern Tanzania each March/April. The concentration of wildebeest (about 1.7 million in total), together with about 260,000 zebra, means that the grass on the plains is soon eaten and the animals need to move in search of fresh pastures. This is when the wildebeest (and zebra) begin following the rains through the Serengeti National Park ad they continue doing so until they cross the notoriously dangerous Sand River which takes them to the Maasai Mara National park in Kenya. It is called the Great Migration, and ends in about late July/August each year, by which time the animals that have survived (about 250,000 wildebeest die en route) will have travelled around 800 kilometres. The phenomenon it is visible from space and is the largest simultaneous movement of animals anywhere in the world. 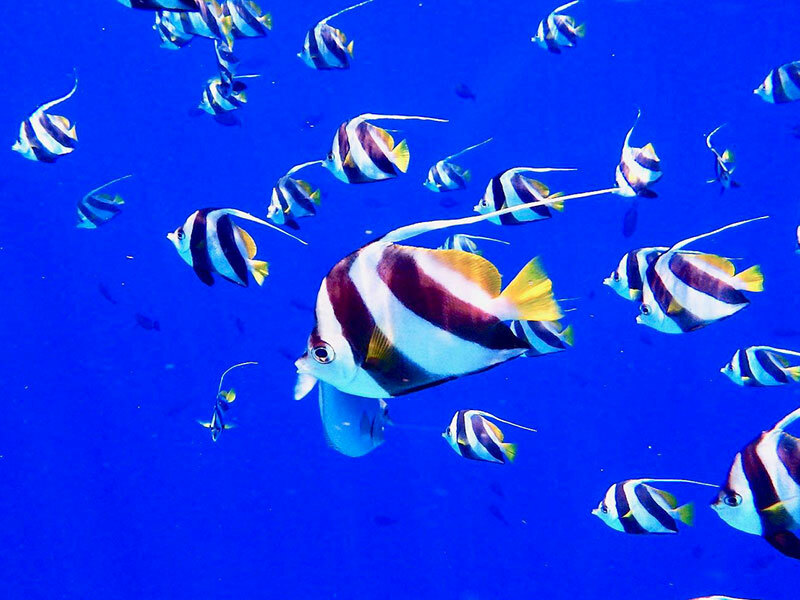 If you can, time your trip to coincide with this migration: it was, after all, rated as one of the Natural World’s Seven Wonders by USA Today in November 2006. 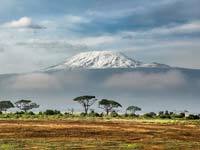 At 5,895 metres, Mount Kilimanjaro is the tallest mountain in Africa and the highest freestanding mountain in the world. 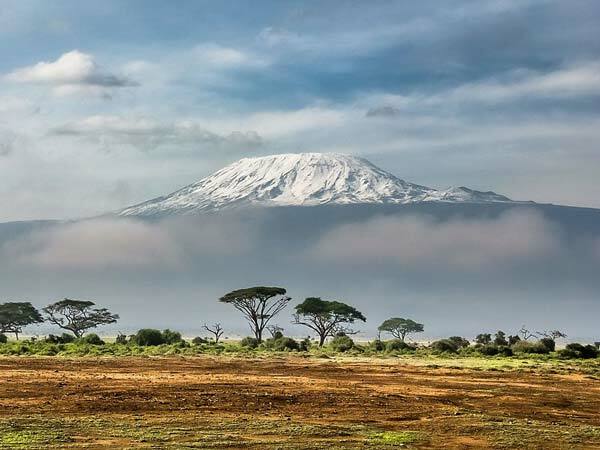 Found in the Eastern Rift mountains, at the far north of Tanzania, Kilimanjaro is a volcano with three summits (or volcanic cones): Kibo, Mawenzi and Shira. Uhuru peak on Kibo is the mountain's highest point. Kibo is dormant and so could erupt again (the other two cones are extinct). But don’t worry: its last eruption was about 150,000 to 200,000 years ago! Kilimanjaro (or ‘Kili’) is very popular with hikers (it is one of the easiest of the Seven Summits, the highest mountains on each continent). It is estimated that about 30,000 attempt the peak each year, with around two-thirds making the summit. Early symptoms of altitude sickness account for most failed attempts – meaning that it is imperative that you take time to acclimatise. 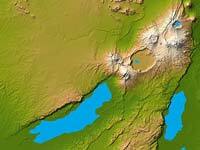 Kilimanjaro’s vegetation changes according to the altitude. Its foothills are used for agriculture, including the growing of maize, beans, sunflowers and coffee. Between about 2,000-3,000 metres above sea level are found forests, and above 3,000 metres the terrain changes again to bush and heathlands. The Furtwangler glacier is still found at the summit, but its size is rapidly diminishing. Between 1912 and 20111, about 85% of the mountain’s ice cover was lost. It is estimated that no ice will remain by about 2050, slightly later than the prediction made by Al Gore’s 2006 documentary film An Inconvenient Truth. 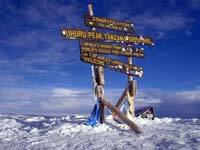 The average daytime temperature at the summit is - 4 degrees Celsius, falling to - 9 degrees at night. 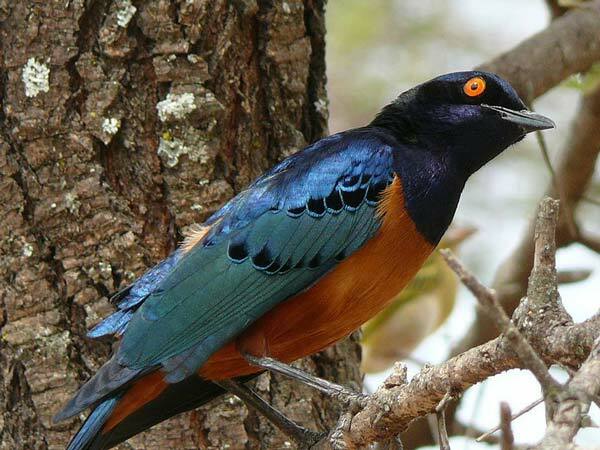 In terms of fauna, you may encounter elephants and cape buffalo at low altitudes and animals such as blue and Colobus monkeys, mongooses, malachite sunbirds, white-necked ravens, warthogs, zebras, hyenas and the Kilimanjaro shrew as you ascend. 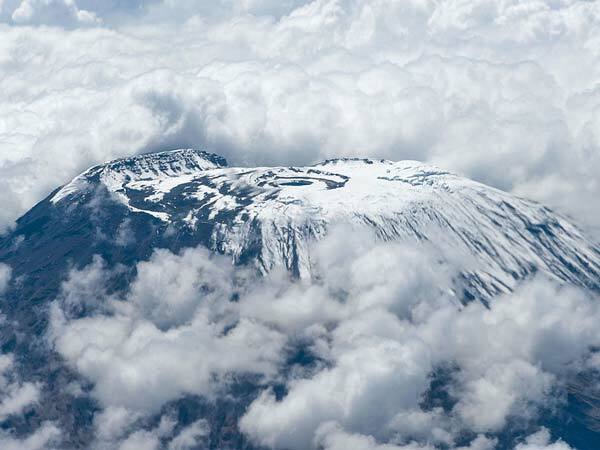 The first recorded climb of Kilimanjaro took place in 1889 by Hans Meyer and Ludwig Purtscheller. Technically speaking, it is not a difficult mountain to climb. In fact, there is no actual climbing involved; this is really a long trek. But Kilimanjaro should not be underestimated on account of its altitude. Trekkers will start to notice the altitude after reaching 3,000 metres and must take appropriate precautions thereafter (the best advice is to ascend slowly, climbing high and sleeping low; to drink lots of water; and to turn back if you experience the symptoms of altitude sickness). Of the 25 deaths on the mountain between 1996 and 2003, 14 were altitude related. It may come with a hefty price tag of c. $1,500, but there is no shortage of tourists wanting to scale Africa's highest peak. The Lemosho route, approaching the mountain from west, gets fairly busy. It can be completed in minimum of six days, but it is sensible to allow more time to acclimatise. The scenery is excellent. The Marangu route approaches the mountain from the east and is the most popular way up the mountain (also known as the Coca-Cola route). It can be completed in a minimum of five days (hence its popularity), but it is sensible to allow more time properly to acclimatise. The scenery is less attractive than on the other routes. The Machame route, which attacks the mountain from the south, is steep and busy; but is considered the most scenic path to the top of the mountain. You should allow more than the minimum of six days to climb. The Rongai route, from the north of the mountain, is an easy and quiet route; but is generally thought to be the least scenic. Again, allow more than the minimum of six days to climb. Most people climb in the summer months to avoid the rainy season and the coldest weather. September is the most popular month of all. If you are thinking about the climb, be sure to (a) select a reputable trekking company, (b) be in good physical condition, (c) take appropriate mountaineering kit and (d) (most importantly) ascend slowly. 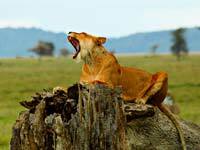 Although the Serengeti is the most famous National Park in the world, arguably the most spectacular sight in Tanzania is the Ngorongoro Crater. 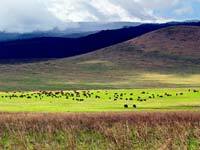 Once said to be taller than nearby Kilimanjaro before it collapsed, the Ngorongoro Volcano is now famous for being the world’s largest unbroken caldera (a caldera is the cauldron-like depression that forms when a volcano become exhausted and its peak collapses). The crater is about 2,000 feet deep and occupies 160 square kilometres, most of which is around 1600 metres above sea level. At its centre is found the Magadi salt lake (popular with lesser flamingoes), with the Ngoitokitok spring located near the eastern wall of the caldera (a popular spot with tourists, because it drains into a large swamp inhabited by hippos, lions and elephants). 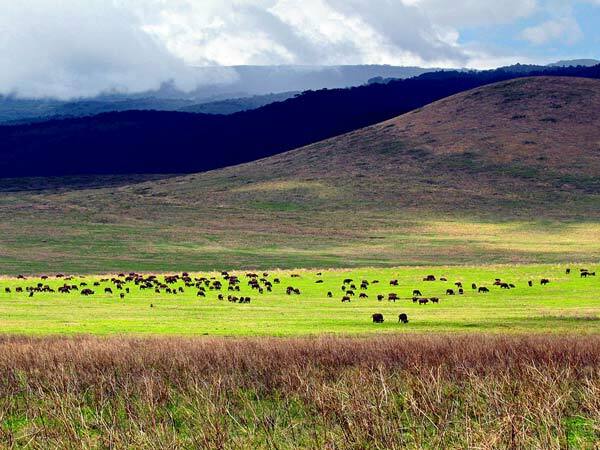 The natural enclosure created by the caldera means that you won’t see giraffe and certain antelope here. But you are almost guaranteed to spot one of the three lion prides (with 62 lions, the crater has the highest lion density on the continent). 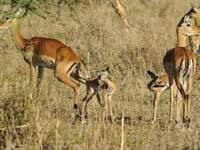 Other inhabitants include rhino, hippo, hyena, elephant and more. In fact, the very nature of this natural wonder means that wildlife will mostly stay inside the confines of the caldera. Not that this is problem-free: the lion prides’ small gene-pool makes them susceptible to disease (in particular canine distemper). 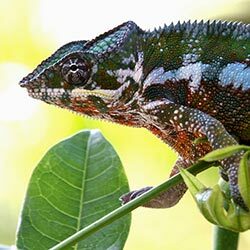 Tanzania was discovered by the western world in the 16th century, when explorers and high sea traders began arriving on the East Cost in search of new experiences and valuable produce. Unfortunately these new arrivals also signaled the start of the slave trade. 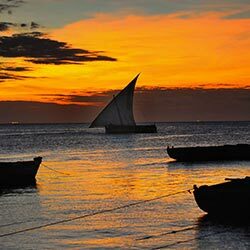 However, as time passed and peace prospered, calm was restored to the East Coast of Tanzania including the archipelago in the Indian Ocean known as the Spice Islands. 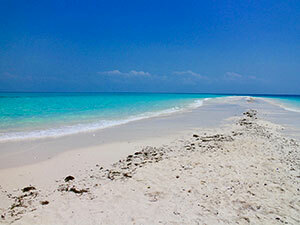 Zanzibar is the most famous of these islands where there are some truly amazing things to do. 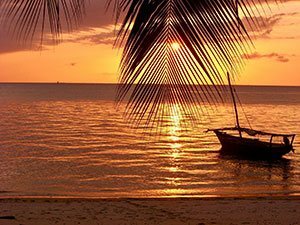 They include exploring Stone Town (Zanzibar’s main city), the golden sands of Nungwi and Kendwa beaches and snorkeling in the turquoise blue waters of the Indian ocean. You also have Pemba Island (to the north, smaller than Zanzibar and also known as Green Island) and Mafia island (about 150 kms south of Zanzibar) which both have their own reasons for being so popular. 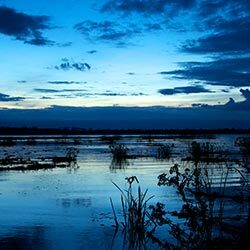 Incorporating very much a Muslim culture with many Indian, Arabic and Persian influences, this part of Tanzania is a whole region in itself and is usually included on the itinerary of those visiting Tanzania. 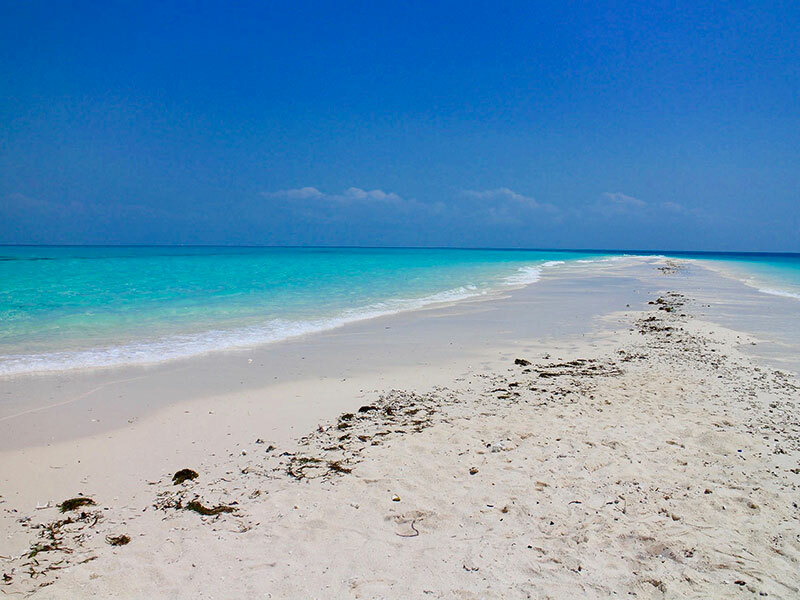 Thankfully it’s not hard to get to Zanzibar: you can take a flight from Arusha or bus it down to Dar Es Salaam where there is a high speed ferry that leaves daily for the land of white sands. Olduvai Gorge is a 50 kilometre long gorge located in northern Tanzania. It is one of the most important scientific sites in the world, being the place where the first human remains were found. The discoveries were made by British/Tanzanian husband and wife team Louis and Mary Leakey between 1930 and the early 1960s. They are critical in terms of understanding evolution, in particular by confirming that the earliest humans lived in Africa and by showing that humans evolved over around two million years (from Australopithecus, to homo habilis, to homo erectus, to Neanderthal and finally to homo sapiens or modern humans). Perhaps the most important find was that of the 1.75 million year old 'Nutcracker man', made by Mary Leakey in 1959. Many other remains have been located, together with about 2000 early stone tools. Deep and scenic, Olduvai is quite a sight on first inspection and it has a fantastic museum to be explored which explains everything you need to know about the areas and its significance. There are also live presentations in which a local guide brings the area to life. 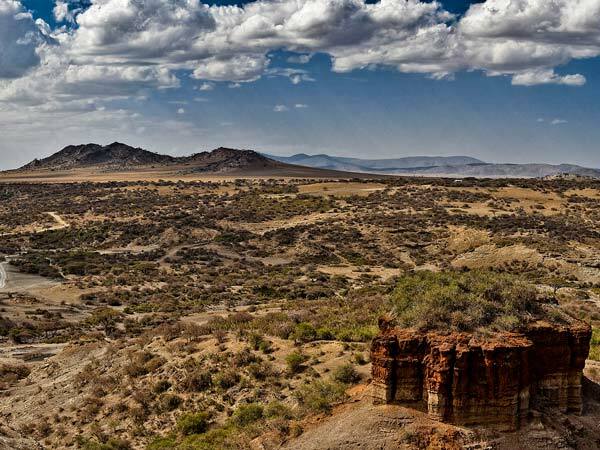 Olduvai Gorge is located midway between the Serengeti and Ngorongoro Crater while the entrance fee is US$35 or the equivalent in local currency. Did you know that the Maasai are widely thought to be defectors or at least a lost legion of the Roman Empire? It would explain a lot, the traditional dress, the spear and the superior combat training. Anyway, a trip to visit a Maasai Village is an excellent thing to do in Tanzania in which a local guide will explain the inner workings of a modern village. Walking through the compound you will have the chance to meet tribe members but also to step inside their homes and witness the cramped and mysterious conditions in which they still live. Each tribe/family forms a strong bond and while it is true that Maasai men are entitled to have as many wives as they choose, listening to their outlook and the stories behind their ancestry is captivating and akin to stepping back in time to when civilization did not even exist. At the end of every tour, you will also have the chance to buy local curios/souvenirs from the tribe which is sometimes a nice touch as it means the money you pay for these items is going straight to the person who made it rather than a shopkeeper or alternative organisation. Great work is done year round in terms of fundraising to ensure many of the poor areas in Africa are supported as much as possible. This means there is an endless number of NGOs (Non-Government Organisations) and charities who offer paid opportunities to get involved and “give something back”. It might seem as though the work itself is where you will find the value in a volunteer project but actually, the project is just a medium through which to meet the local people in Africa, to understand more about their fascinating culture and gain a very personal insight into the real traditions which still exists. These people need your help, there is no doubt about that, but that does not mean it is an experience you won’t enjoy: most people look back on their time volunteering as the most rewarding thing to do in Tanzania or indeed any trip to Africa.